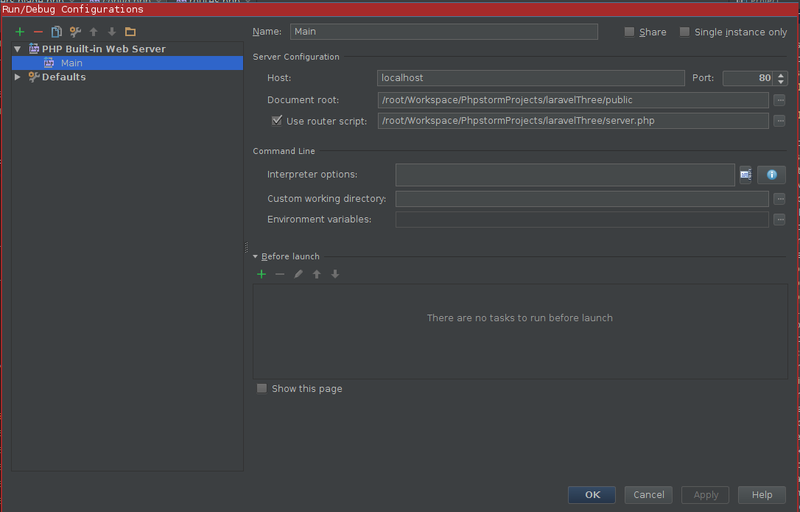 Hi, I need to launch the site in PhpStorm locally with this URL, http://localhost:80 server.php, note the space between 80 and server.php. 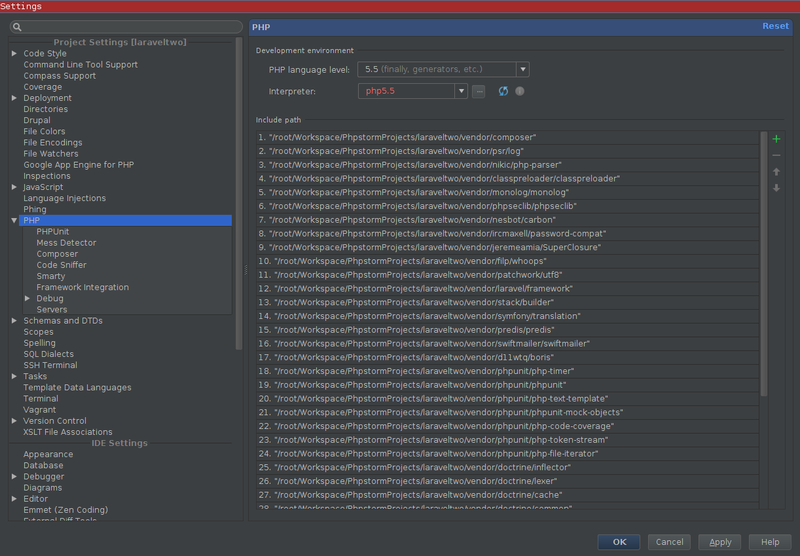 That needs to be that way, how can I config phpStorm to run that when I run it from the IDE? I do not think it's possible as it's an invalid URL (the space instead of "/" -- between port and script name). I mean -- you can try entering such URL (Run | Edit Configurations...) .. but none of them were accepting such URL when I've tried it. Hi and thanks, I know it is invalid but this is the way the laravel framework works with some tools such as the codesleeve/asset-pipeline I can run it from CLI I guess or book mark that's fiine, I for whatever reson was not able to get the debugger working in either config type (zeo or normal) . Strange I used xdebug in netbeans fine. 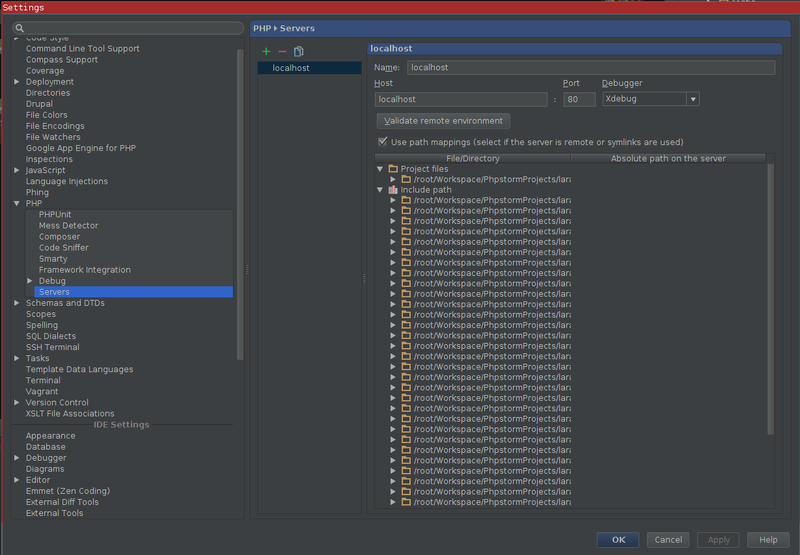 Overall the Jetbrains IDE's win out, so I guess I am stuck till I get the time to figure it out. How do you debug? What do you see? What do you have in "Settings | PHP | Servers" ? As I understand everything is local. What OS do you have there? 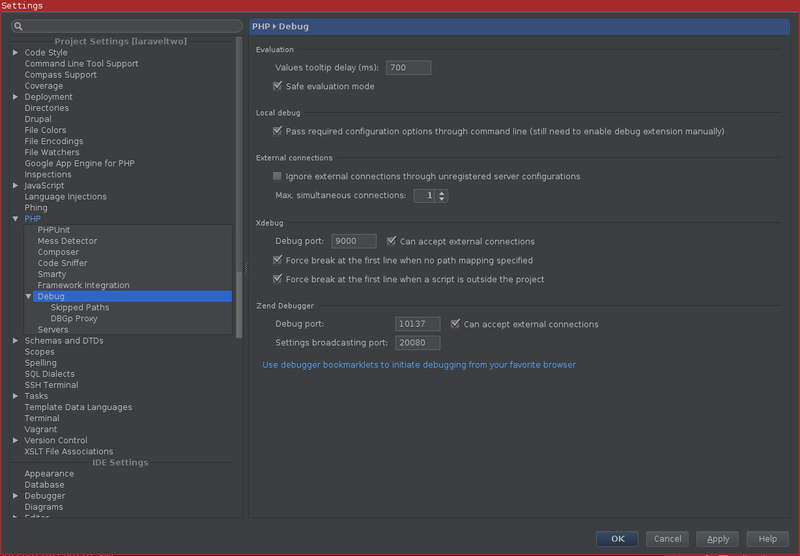 When you tried zero-config approach -- have you seen IDE popup asking to serup path mappings? When I would debug from IDE I would click to debug/run and nothing would happen, no browser would launch, nothing. On screenshot you have run/debug configuration of PHP built-in web server -- it should not run anything in browser -- AFAIK it only launches PHP's web server in background. 1) What URL are you trying to debug exactly? If you launch it from IDE it should contain XDEBUG_START or something like that as part of the query string. If zero-config approach --- are you using bookmarklet or browser extension to set xdebug cookie (which tells IDE to initiate debug session)? 2) Screenshots -- you have missed another important here: "Settings | PHP | Servers"
3) Your xdebug settings (from php_info(); output)? 4) xdebug logs would definitely help here... At very least they would tell if xdebug tries to connect (and to where) or not. If I click run the only thing that happens is that the php web server is started in the background, I launch my browser by hand, With Zero I tried bith methods and still nothing. It doesn't appear that I had a log file set and it doesn't have a default. 1) Your xdebug is DISABLED. As the result of it -- xdebug log will never be generated (plus, you have not provided path to it .. so it will never be generated anyway). 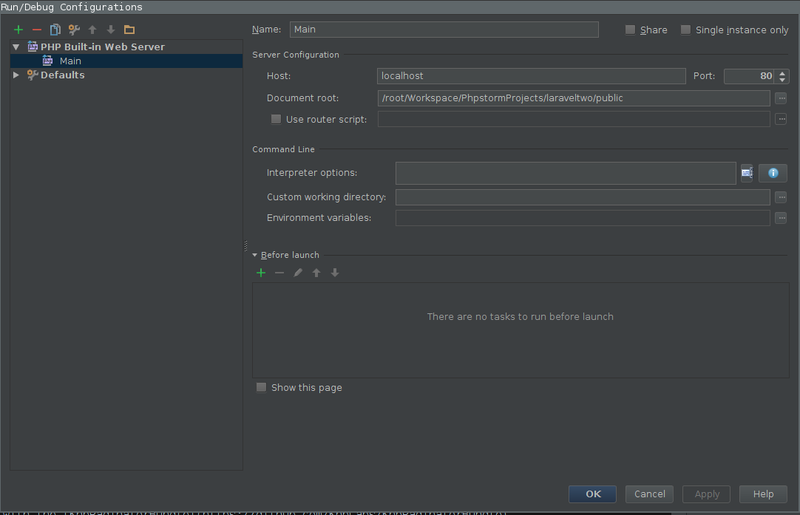 You have "Use path mappings" option checked .. but no mappings provided (at very least for top level folders as shown on screenshot). If everything is local and no symbolic links in use then just uncheck that option. I appreciate all your help with this. I still don't get a browser launch and I tried the query string in the URL and I also tried the chrome add-on and still nothing but the same message in the log. HI I'm back with respect to my original question and I found the answer and thought I would share it with you. to start the php webserver like the following which is what I had to do.